Car-less Cities In Europe; Is America Ready? Once again world leaders have gathered . . . this time in Paris . . . to try to work out a global plan to head-off a looming doomsday scenario created by human dependence upon carbon fuels to keep the wheels of industry and general living turning. Scientists have been warning of this deadline for years and it has only been in recent times that government leaders are starting to take them seriously. Former Vice President Al Gore took a lot of political heat after he and director Davis Guggenheim released the documentary film An Inconvenient Truth warning of the consequences of global warming in 2006. Now, a decade later, President Barack Obama is gathered with leaders of 150 nations, attempting to agree on some kind of plan to place an immediate cap on carbon emissions and find innovative ways to utilize green energy alternatives. While many nations are in the process of building massive solar and wind energy systems, and are building high speed rail and gas powered people movers designed to get city dwellers to and from their jobs, the United States is sadly lagging behind on such programs. 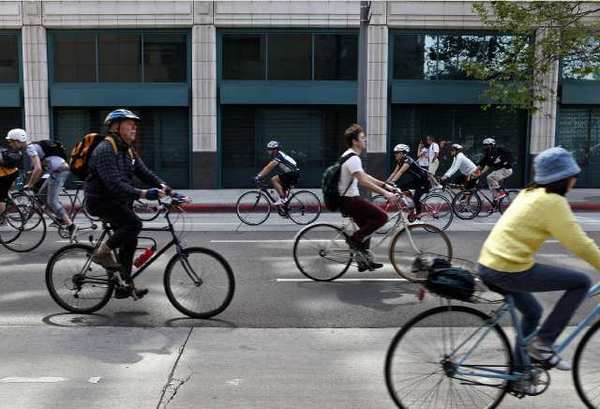 Consequently the proposal by Oslo, Norway, to eliminate gas burning vehicles from that city and replace them with bikes, electric vehicles and public walkways by 2019 is an interesting solution up for consideration by many European cities; but not the United States. President Obama’s plan to pour national money into a high-speed railroad system and a reduction in dependence on gas and diesel powered vehicles to move humans and goods has been blocked by an uncooperative Republican controlled House and Senate. Before that the nation was on dead stall for eight consecutuve years under the Bush Administration because President George W. Bush said he did not believe global warming was a real threat. Tax dollars instead were poured into manpower and material for two ongoing wars launched in Afghanistan and Iraq. Now, even as Mr. Obama arrived in Paris with a proposal to thrust the United States into the midst of solving the world’s climate dilemma, House Majority Leader Kevin McCarthy warned that Congress will not approve any plan by the president that commits “taxpayer money” to support a climate accord. “I don’t think that’s the best use of our money,” he said. Thus this nation continues to remain deadlocked by a Republican controlled House and Senate that refuses to work with Mr. Obama . . . even if their lives and the lives of the people of the world depend on it. And it all appears to be antagonism over the fact that Mr. Obama is the nation’s first black president, he is a Democrat interested in social services for the people instead of big business, and any “deal” he makes in Paris might threaten America’s oil and coal industries. While the smokestacks of industry have taken a lot of heat, statistics show that the transportation industry has been the largest polluter of the air. Throughout the world the cities have been shown responsible for 70 percent of carbon dioxide emissions. Transportation . . . that includes cars, trains, buses, aircraft and ships . . . are blamed for a quarter of the gas emissions. German journalist Paul Hockeos, in an editorial commentary for Al Jazerra, last week proposed that cities restrict car traffic, put a tax on fossil-fuel burning vehicles, cut the cost of public transportation making it more appealing, phase out diesel powered vehicles and revamp their streets to make them safer for bikes and pedestrians. He said this is a relatively inexpensive start toward solving the problem. Hockeos noted that Copenhagen, Amsterdam, Zurich and Barcelona have already done the above list of projects and found that they are working. He noted that in London, where drivers pay 10 pounds a day for the privilege of driving in the city, and a tax on diesel vehicles that is more than double the amount paid for cars, the volume of bike traffic increased 79 percent and the city enjoyed a 30 percent reduction in vehicle congestion. He also suggested that governments do away with subsidies to the automobile and aviation industries and redirect this money toward the greening of cities. Will we do something as wise as this? Don't hold your breath.